Rain is the predominant metaphor on Susanna Hoffs’ stellar 2012 album, Someday, so it was only fitting that Seattle welcomed the Bangles star and her band with the year’s biggest downpour. Seattle’s luxurious Triple Door nightclub was the final destination on the singer’s all too brief solo tour, one that also saw her hustle up the East Coast in the wake of Hurricane Sandy. The last time we spoke with Hoffs, on the eve of Someday’s release earlier this summer, she took POPDOSE readers behind the scenes of the baroque pop album’s creation while also discussing rarities in her audio archives (read that interview here). 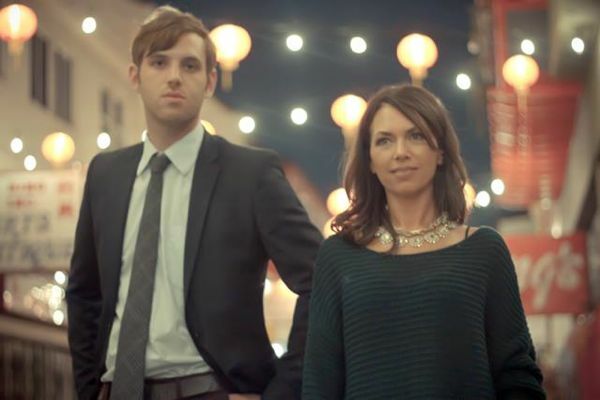 Last night, minutes before they took the stage, her songwriting partner and lead guitarist, Andrew Brassell, told us more about the tour and the duo’s future plans. POPDOSE: Tonight is your final scheduled stop on the Someday tour; does the Space Needle mark the end of the road? ANDREW BRASSELL: We’re probably gonna do some more shows next year but I’m not sure, we don’t have anything planned. The tour has been going well. Suz has been enjoying herself, people are responding and they seem to like the new record. Are you primarily focusing on songs from Someday? The setlist is pretty balanced, Susanna is smart about knowing what people want. We’re doing five songs from the new record, three to four Bangles songs, a handful of covers and some of her old songs. There will be some surprise medleys and we’ve redone the Bangles songs, playing them in a different way. Yes. I was in a small band in Nashville, playing to friends and some random dudes who liked our music, so it’s nice to play shows where people know the words to the songs. An album. An EP and now a national tour. How did your fruitful collaboration with Susanna come together? I was friends with her niece — who is now my girlfriend. I came out to Los Angeles to visit her and she took me over to Susanna’s place. I was just sitting around playing music and we clicked. They convinced me to move to LA and we started writing songs together. You’re in your twenties; were you that familiar with the Bangles, a band that had hits before you were born? I was born in 1985, and while I listen to songs from every decade, the Eighties was the decade I knew the least about. I had heard four Bangles songs before I met Susanna. Everyone has seen the “Walk Like an Egyptian” video; you see that once, you’re gonna remember it. That’s one of our main points of friendship. An Emitt Rhodes song came on (her stereo) and I knew what it was. She was impressed that a younger person would be into Sixties music. Same goes with the Love record, Forever Changes, I’ve always liked that sound a lot. How have the crowds been on this tour? Every show has been different. We’re primarily playing nicer, smaller places. San Francisco was in a small club, very fun — the closer people are to the stage, the more fun it is. Even the illusion of being in a packed room because of the small venue makes you feel more confident; you can cut little more loose. Are the five of you touring the country in a van? I bypassed the van stage somehow. Susanna has been flying us around. In my old band, the bass player was a studio musician and the drummer wrote for the alternative weekly (he’s the music editor there now). They couldn’t leave their jobs — if you leave a studio musician job for more than a few days, someone’s gonna replace you. We played CMJ — and some shows in Alabama — but no real touring. So what’s next for you and Susanna? She’s gonna record vocals for Sid & Susie Volume 3 (the Under the Covers series with Matthew Sweet), I’m gonna help her engineer some of those in her home studio. Then the holidays arrive — after that, we’ll probably start writing again, demo a bunch of stuff, see what pops out. The Noisetrade EP, Some Summer Days, was recorded in her house. We found out about it, went in her studio and just worked on stuff for five days — so we’re probably gonna try recording in that style and something will emerge. You don’t always have to plan things to a T — and sometimes when you don’t, the best things come out. 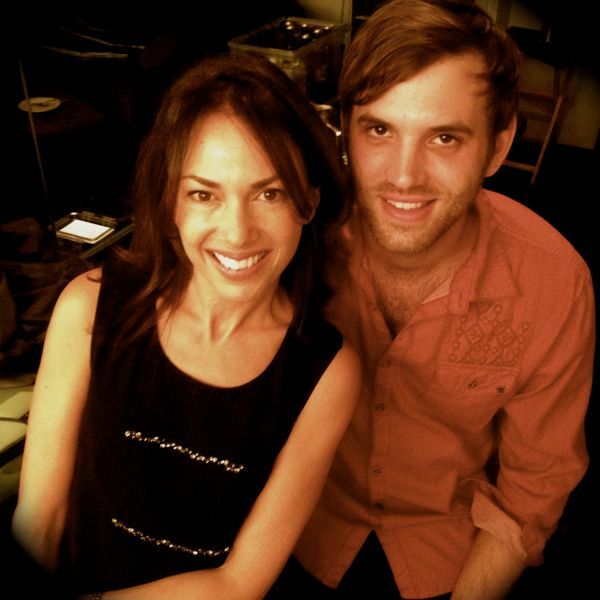 Susanna Hoffs has the Bangles, Ming Tea and Sid & Susie — any chance you two will name your combo? (Laughs). I don’t know. I don’t mind it being about her — I don’t need any more focus than writing the songs with her. She gives me a lot of credit and is very gracious and generous in that respect. She wants me to play guitar solos and have fun and I appreciate that. I don’t need to be the lead in anything, I kinda like being behind the scenes and supporting her. 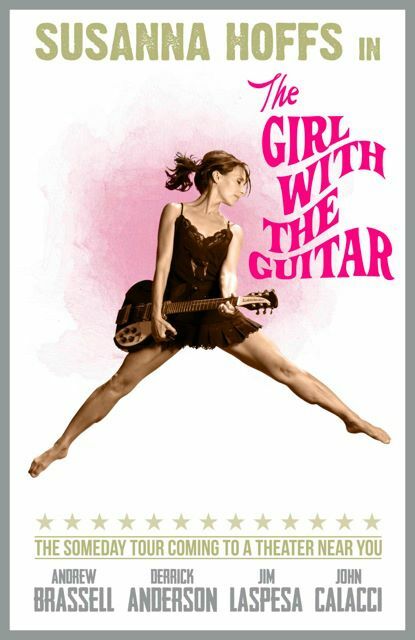 Concert Review: Susanna Hoffs 11/18/12 @ the Triple Door in Seattle. When my friends bought tickets to join my wife and I at the show, I warned them that there would likely be no Bangles songs. I talked up the many virtues of the Someday album (one of my 2012 “Top 10” CDs) and was thinking, if they played Someday track for track, and nothing more, it would be a great show. After talking to Andrew Brassell, I slipped back to our booth and told my friends, “there will be Bangles.” Little did we know, there would be countless more surprises in store. With no opening act, the band took the stage right on time. 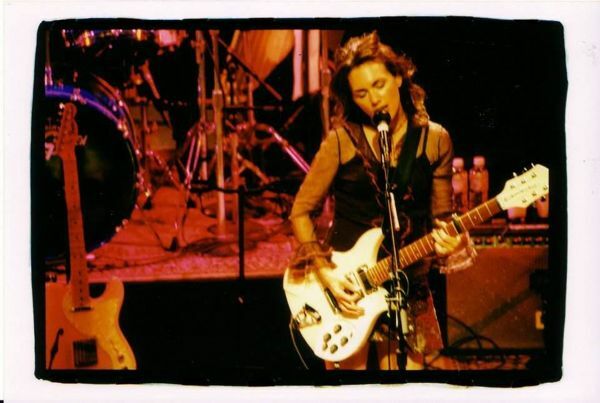 Hoffs with her signature Rickenbacker, Brassell (lead guitar), Derrick Anderson (bass and vocals), Jim Laspesa (drums and harmonies) and John Calacci (every other sound you could imagine). She bypassed her own catalog and dove straight into classics by Jackie DeShannon and Linda Ronstadt. Someday’s “November Sun” — a stunning song with loads of references to November rain — perfectly fit the bill as the crowd slowly dried off from the deluge outside. The Seattle crowd was library quiet as the band played, the room took on the acoustics of a recording studio. Even though Hoffs encouraged the audience to ask questions in between songs, there was nary a peep from the crowd — this occasionally derailed momentum between songs since the band wasn’t feeling talkative — it would have been the perfect time for Hoffs to tell stories — or for percussionist (and tour manager) Calacci to launch into some blistering solos on the triangle. The loudest reaction from the crowd erupted when Susanna launched into the familiar opening verse of “Manic Monday.” Before the long jam session was over, the band seamlessly integrated the verse from another Prince classic, “1999,” as well as nods to the Velvet Underground and Roxy Music. Someday’s lush orchestration, courtesy of legendary producer Mitchell Froom; not to mention the Bangles signature keyboard sound, were both replaced on this tour by crisp and electrifying guitar arrangements. Many of the songs featured innovative solos by Brassell, twisting familiar tracks into new songs; it reminded me a lot of the sonic punch guitarist Nick Zinner adds to the Yeah Yeah Yeah’s. Combined with Laspesa’s epic rhythms and drum fills — and stellar harmonies by both the drummer and Anderson — these decades-old songs sounded completely fresh and invigorated. Hoffs revealed they had so many requests for “Hazy Shade of Winter” that Brassell had to learn it mid-tour. You would never guess he hadn’t been playing it for years, the electric reworking was absolutely stunning. The night steadily built steam until set highlight, “In Your Room” brought the house down. This cute and adorable, but inessential, Bangles single morphed into a full throttle rocker, with Brassell throwing in riffs from “Jumping Jack Flash” while Susanna shredded her Rickenbacker. “Hero Takes a Fall” also turned into a classic rock riff heavy jam session. During this entire portion of the set, she beamed ear to ear like a teenage rocker playing her first gig. As much as I love Vicki and Debbi Peterson and (forever a Bangle) Michael Steele, I would kill to have Susanna’s tour band record a hard rock Bangles tribute CD. For the encore, “Under a Cloud,” album highlight from the Bangles’ latest effort, Sweetheart of the Sun, segued effortlessly into “Walk Like An Egyptian.” After that triumphant moment, Susanna thought the night was over, but the band reminded her there was one surprise left: a sweet performance of The Association’s “Never My Love” to gently bring the audience back to Earth before slipping back into the rainy evening. 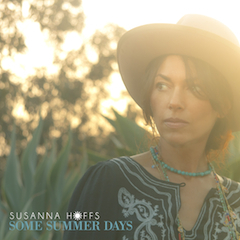 Someday by Susanna Hoffs is currently available on Amazon. A 5-track EP, Some Summer Days, is available for FREE on Noisetrade — though tips are always welcome. A new, 3-track EP, From Me To You is scheduled to be released on December 4th. 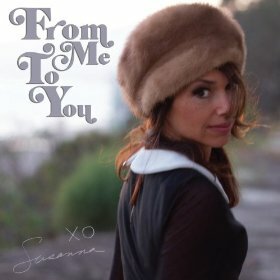 Stay connected with Susanna Hoffs, on the web and on facebook.